The home of quality painting and decorating in Trowbridge. Painter and Decorator in Trowbridge. 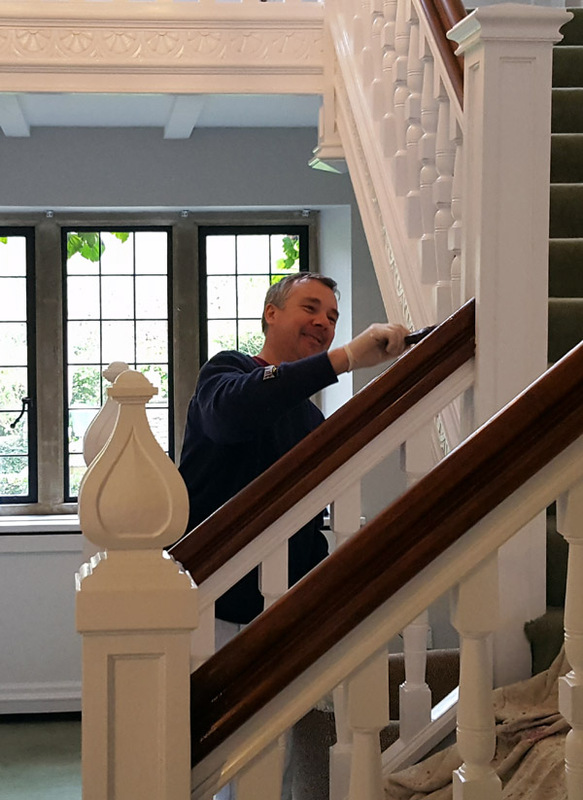 Nick Irelan-Hill Painter and Decorator in Trowbridge offer quality, competitive painting and decorating services across Wiltshire to both domestic and commercial clients. With 33 years experience as a painter and decorator in Trowbridge and the surrounding area, I pride myself on offering a top quality service which is spotlessly clean as well as quick and efficient. My interior decoration in Trowbridge work includes wallpapering and painting. My experience includes hotels, commercial properties and private residences. I offer an interior painting service with an attention to the detail. Properties old and new require exterior maintenance. With our exterior decorating in Trowbridge service your property will receive an expert finish in line with its character. I’ve worked with some of the areas biggest estate agents for many years , either providing full house decoration service between tenants or painting a property with a tenant in situ. As well as having accounts with Farrow & Ball, Crown and Dulux, I also have access to the full Dulux Trade fan deck. I can supply all materials for your project if required. If you are looking for a decorator in Trowbridge for your house or a commercial property that needs attention, please don’t hesitate to contact me on 07779 942682 or email nick@nih-decorating.co.uk for a no obligation quotation. I pride myself on keeping the working environment spotlessly clean and tidy. You can be certain that the final finish will be of the utmost quality. I am not VAT registered, so my clients don’t get hit with this extra expense.